The Beriev Be-200 is a multi-role amphibious aircraft designed for fire fighting, search and rescue, maritime patrol, cargo and passenger transportation. It has a capacity of 12 tonnes (12,000 litres) of water, or up to 72 passengers. The design was derived from the earlier A-40 Albatross which first flew in 1986 as a military aircraft. Despite considerable interest from the Russian military as a replacement for ageing BE-12 and IL-38 aircraft, only the two prototypes had been built by 2008. The first example of the BE-200 flew in 1998. As is typical for Russian aircraft, although Beriev designed and developed the aircraft, production is undertaken by another company. EASA certification has been obtained and there are hopes the aircraft will find success in the European fire-flighting arena. This title contains the Russian flight manual for the BE-200 in three volumes, plus a nice colour brochure for the aircraft and several other related brochures. The files have been scanned from the original flight manuals and retain any colour pages. Book 1 – Flying Management. 394 pages. Book 2 – Management of Systems and Equipment. 638 pages. 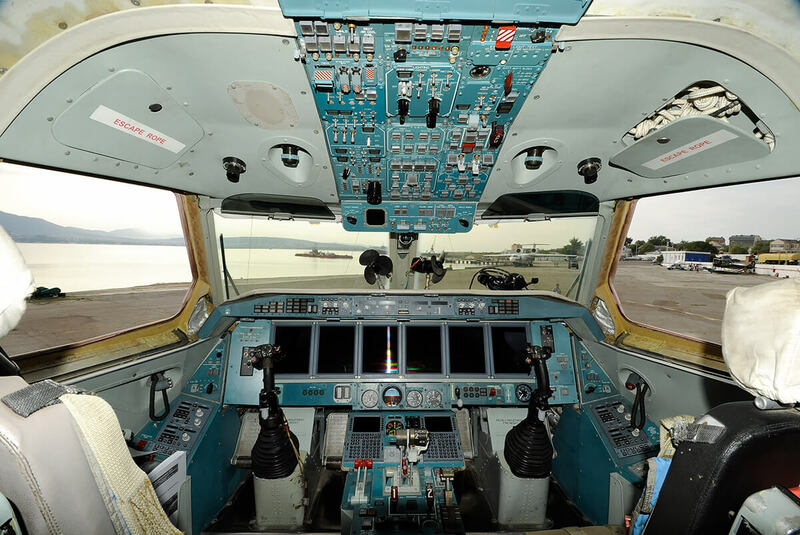 Book 3 – Management of the complex (ARIA)-200M (Avionics system) 349 pages. 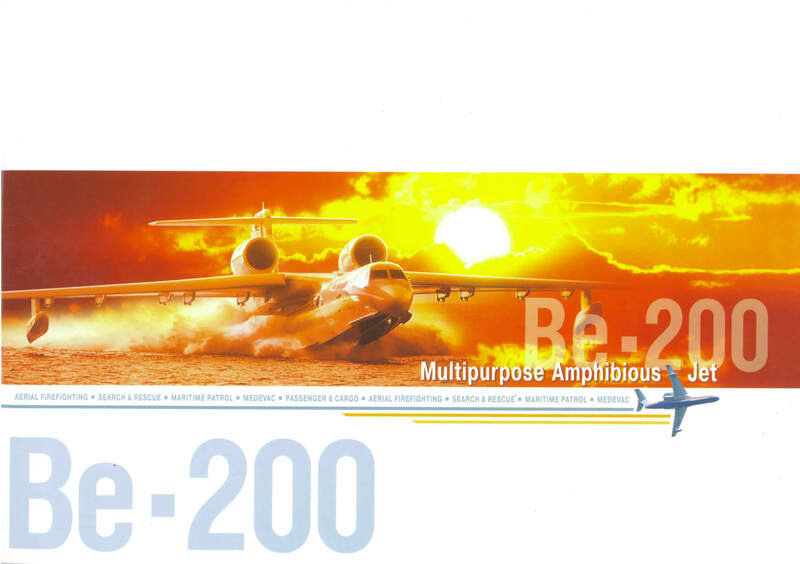 Manufacturers colour brochure for the Beriev BE-200 Multipurpose Amphibian Jet, undated with 32 well illustrated full-colour pages. Brochure on the “G.M. 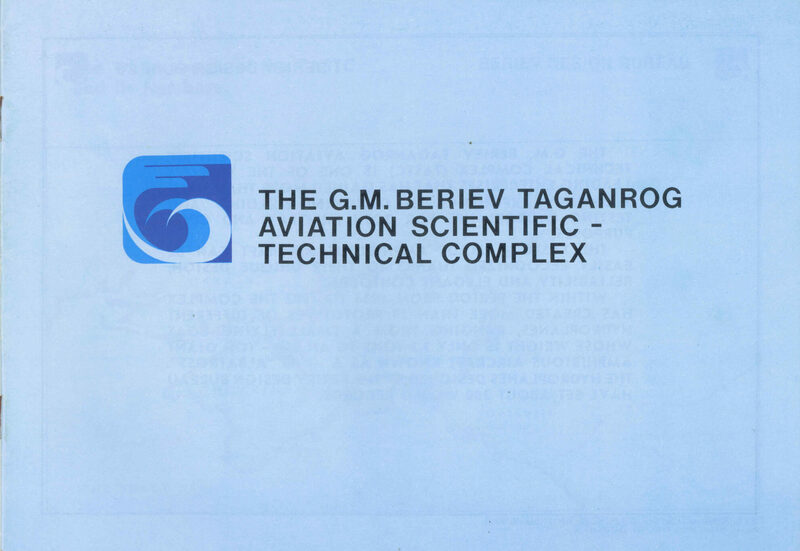 Beriev Taganrog Aviation Scientific-Technical Complex”, dated 3-8-92 with 16 pages. Three two-page flyers on the A-42PE, BE-200 and BE-200ES aircraft.